Ridge gourd, one of those vegetables that seems to be always in the background, before marriage I had tasted it only in kootus. Only later, I came to appreciate this vegetable, after tasting the chutneys and bajjis. 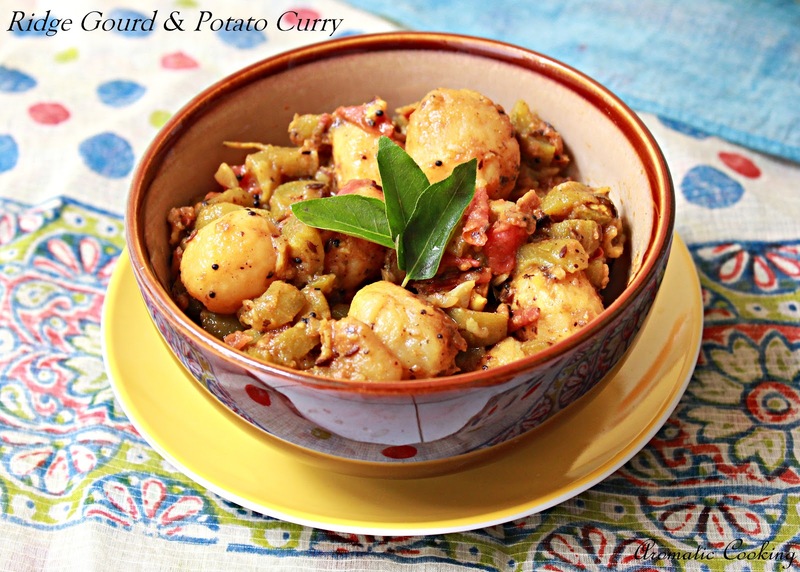 Today's curry is a nice combination of this gourd with potato, flavored with garlic and goes well with rotis.. 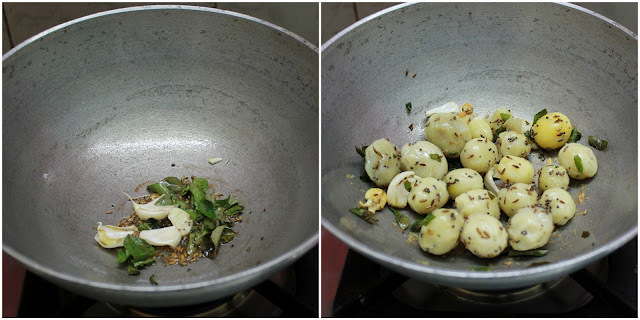 Boil the potatoes, peel and dice them, peel and chop the ridge gourd into big chunks and crush the garlic with the skin. Heat oil, add the mustard and cumin seeds, after the spluttering stops, add the garlic and the curry leaves, saute for a few mins. Now, add the potatoes, salt, roast it till it turns golden, then add the ridge gourd, mix well, add the chilli, coriander and turmeric powders, cover and cook for 5 mins. Add the chopped tomatoes and the cumin powder, mix, cover and cook for 5 more mins, till the tomatoes are just cooked but not mushy. 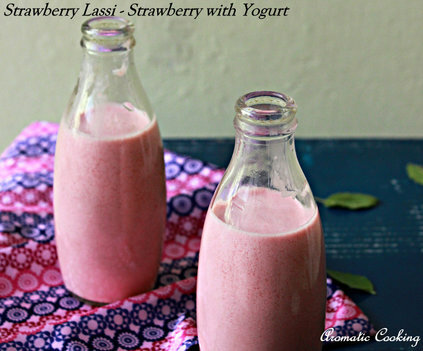 Goes well with rotis or rice. 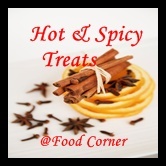 Sending it to Food Corner to the Hot And Spicy Treats event. 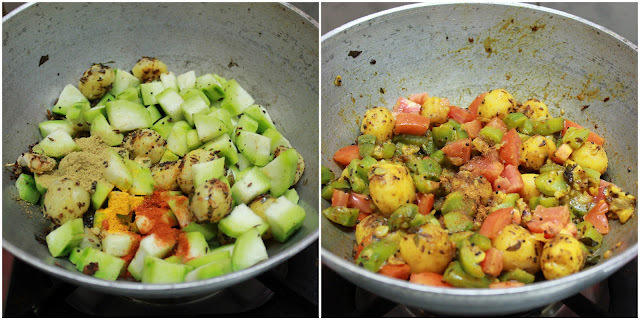 While peeling the ridge gourd, do not remove the skin fully, leave it here and there, this way, the vegetable does not break down fully when cooked. When I updated the pictures, I have used baby potatoes instead of regular ones, use potatoes which hold their shape after boiling, otherwise the curry will turn out mushy. This is nice hema :).. even i have always tasted it in the form of chutney..
Nice one Hema. 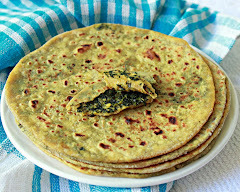 Sounds like a good side dish for roti. Yummy,wat a flavourful and super delicious curry..prefect side dish..
First time here,glad to follow u.This curry sounds yumm !! 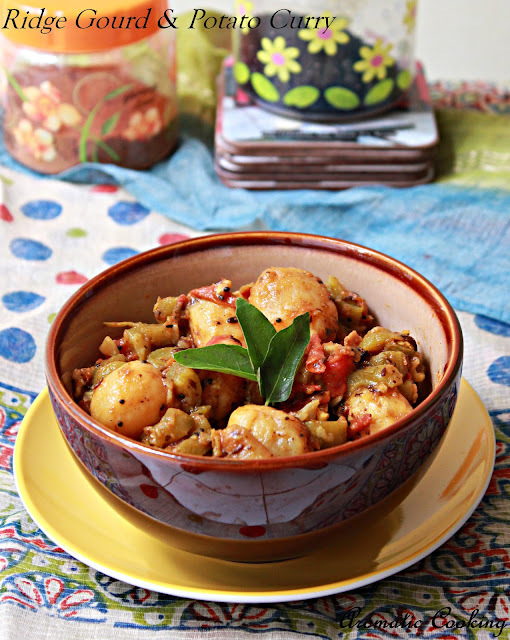 very delicious yummy ridge gourd curry,hmm..love it!! 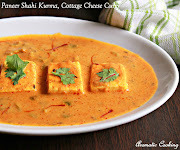 delicious and colourful curry... perfect with rotis..
wonderful and unique curry !! curry looks awesome..loved the color!! 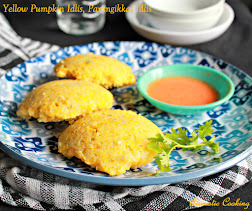 wow this luks yummy and colorful,makes a great combo with white rice or with rott's.. This sounds awesome, the combo is really interesting! Cool! loved the yummy click! 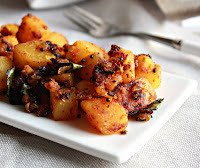 sounds very yummy and nice preparation...very tempting clicks Hema! !